Leaves, Stars and Sparkle. New Season Stock at Lizzy O. In my first blog post of September I wrote about why I love autumn, cosy layers being one of the reasons. I love adding detail and texture to outfits and find that a collection of scarves (and mine’s quite a large one), goes a long way to accessorising an outfit, simple or otherwise. Another reason I love this time of year is the sparkle that begins to appear. candles, fairy lights, bonfires and fireworks and of course sequins and glitter, although I firmly believe that sparkling by any means is perfectly fabulous throughout the whole of the year. All of these reasons influenced my decisions when selecting the new pieces for my accessories website Lizzy O. I have chosen scarves with a metallic foil detail. 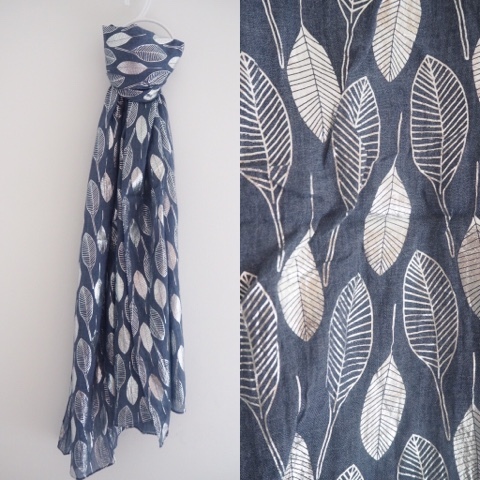 In neutral grey and denim blue, these designs have silver beautiful leaf design that catches the light and adds subtle sparkle. Celestial bodies of all kinds featured heavily on the Fall Winter catwalks including stars and planets. 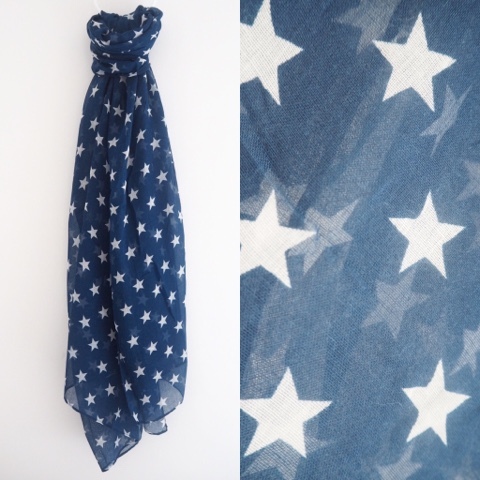 I love stars of any description so this navy and white design caught my eye. The star jewellery by Danon that I sell on Lizzy O is incredibly popular and I think is something that will never go out of fashion. 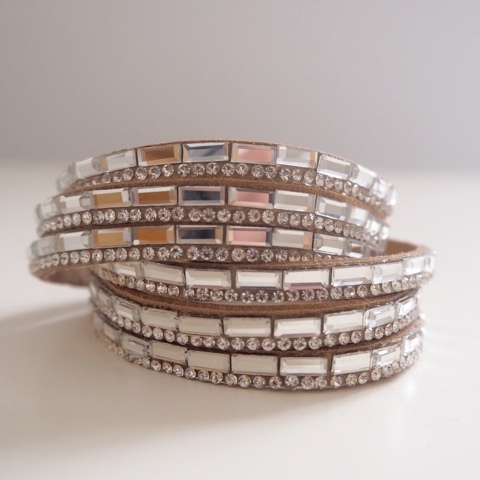 Now these wrap bracelets are possibly the sparkliest ever, something that is incredibly hard to capture in a photograph. Again, I opted for neutral base colours of grey and tan for versatility. 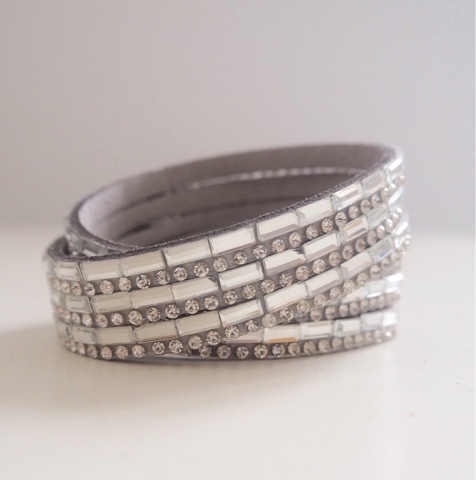 These are adorned with diamantes and fasten with press studs and are comfortable and easy to wear and look as good with a chunky sweater, distressed jeans and biker boots as they do with a little black dress and skyscraper heels. 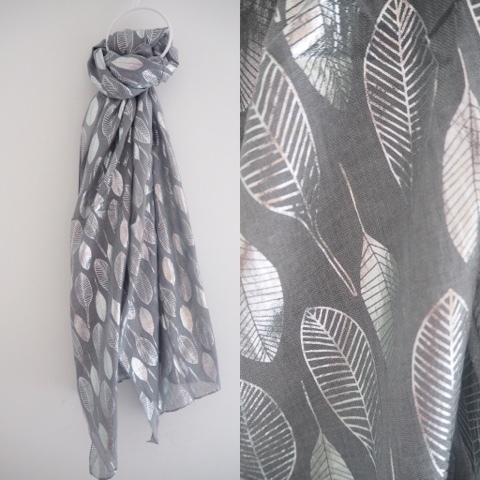 I have a wide selection of scarves in a variety of colours and patterns including florals and animal print as well as several other designs of wrap bracelets also including animal print along with pendants and of course Danon jewellery (which is handcrafted in Israel). Do take a look, prices start from just £12.50 with free UK delivery (£3.95 rest of the world). My Lizzy O brand jewellery comes wrapped in an organza gift bag, wrapped in tissue paper, the scarves are also wrapped in bright pink tissue paper and the Danon jewellery comes in branded packaging. It’s a really good time to start, (I’m now whispering), a little festive shopping before life gets too hectic. I’m very grateful to you all for both reading my blog and supporting my business- thank you. Previous Post The Tulchan Spotted Raincoat and A Little About the Brand.